Training never ends at the Fame and at least once a week, we test our abilities against any and all possible scenarios. This past week our crews for training were dispatched to a "reported structure fire". Crews arrived on location and reported smoke showing from the structure and began to attack the fire just like any other "routine call". 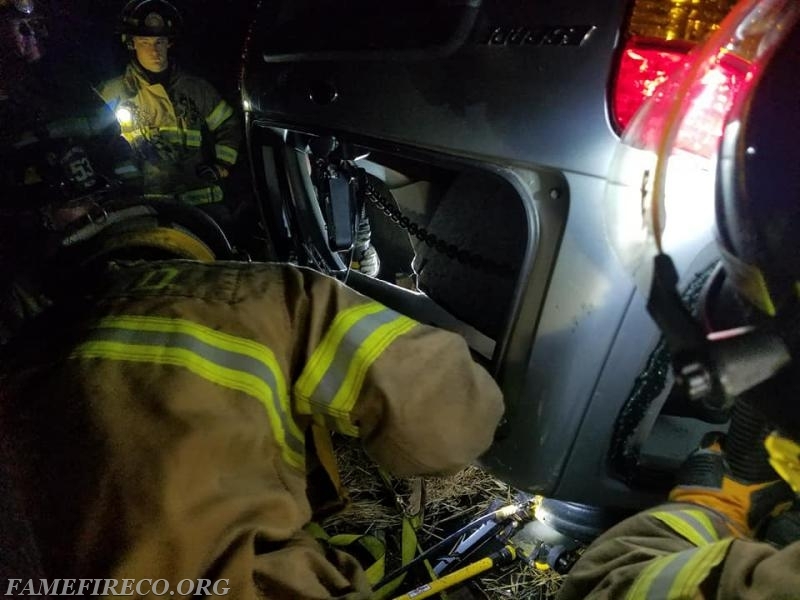 As the ladder crew split and conducted primary searches, interior crews located a vehicle inverted in the structure and one trapped in and one trapped under the vehicle. 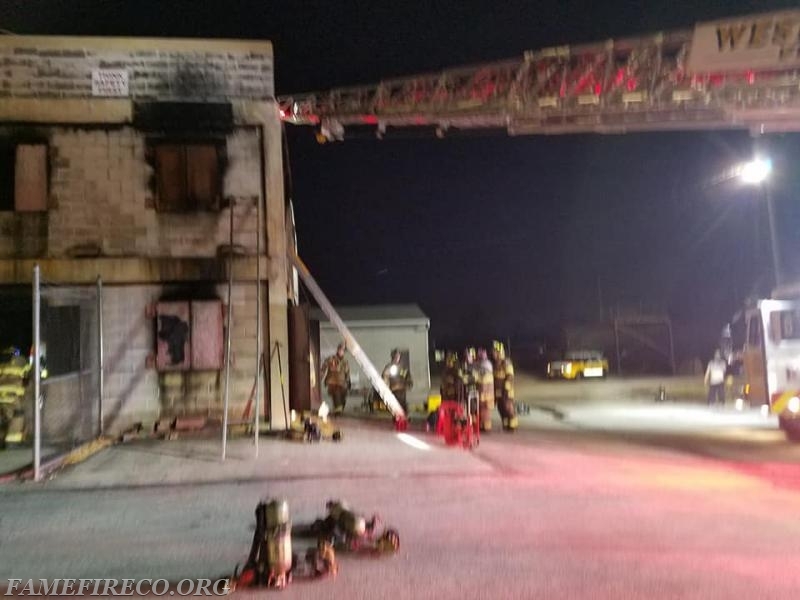 It quickly became apparent that in this training scenario, a vehicle left the roadway, crashed into the structure causing structure integrity issues and caught the building on fire. 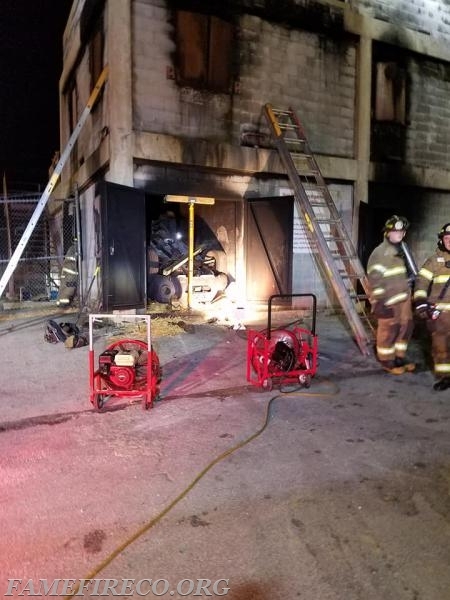 The engine crew quickly placed a line in service and knocked down a fire in the rear room. 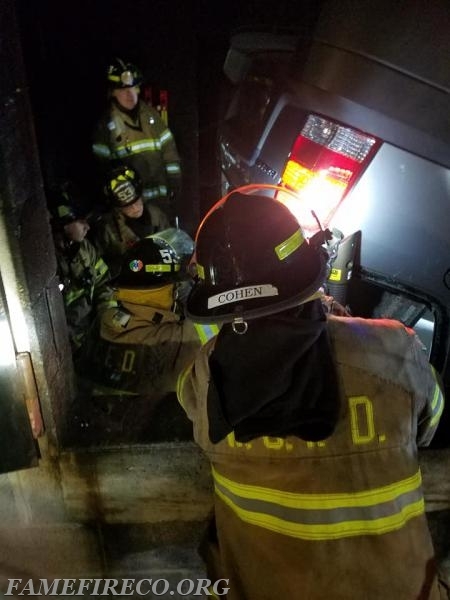 The ladder and rescue crew quickly completed a search of the building for occupants and then focused their efforts on the two patients trapped by the vehicle. Engine and Rescue 53 stabilized the building utilizing Paratech 610 Gold Rescue Strut. 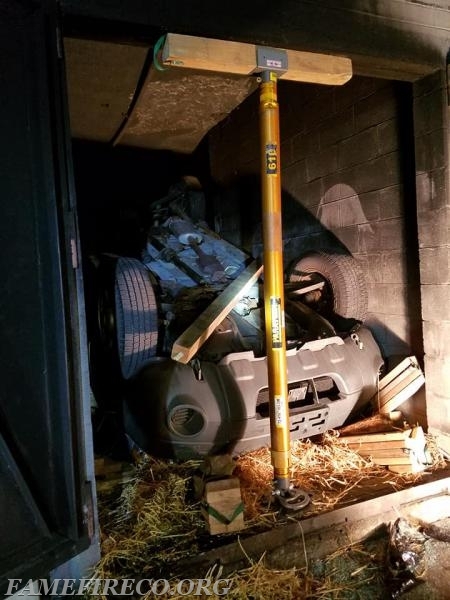 Once the building was shored, crews stabilized the vehicle and utilize Paratech Rescue Multiforce Airbags to raise the vehicle in conjunction with a chain basket and struts for stabilization. Once lifted, crews were able to pull the first victim out from underneath the vehicle. After that victim was removed, crews made access through the rear of the vehicle to extricate the driver still trapped inside. The fire, shoring of the building, and extrication of three victims was completed in roughly 90 minutes. Fame prides itself in training for any and all types of scenarios that we could possibly occur. As members of the Chester County Rescue Task Force, Fame personnel could find themselves in similar emergency situations. Fame Fire Co. No. 3 "With Willing Hearts We Hasten to Assist"